Our team of engineers have decades of experience in performing structural testing in the aerospace, off highway, automotive, construction equipment, pulp & paper, and utility markets. 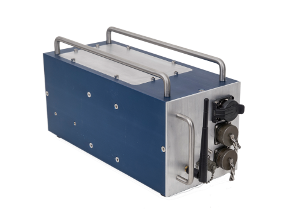 We have used our testing expertise to develop a line of Rugged Data Acquisition (RAC) Systems that perform under harsh testing conditions. Use one of our standard packages or let us customize these systems to fit your testing needs. Our engineers can assist you with choosing the best RAC system for your testing conditions. 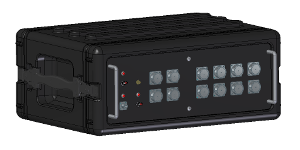 The RAC-44 is a rugged wireless data acquisition system developed for acquiring critical high speed data in harsh environments using Wi-Fi connectivity. 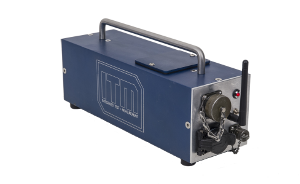 This system is perfect for collecting low channel count vibration, strain and temperature measurements. 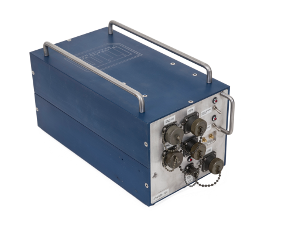 The RAC-66 is a rugged wireless data acquisition system developed for acquiring critical high speed data in harsh environments. Stream up to sixty four (64) strain and temperature channels and thirty two (32) vibration channels to a laptop at 2-50 kHz. 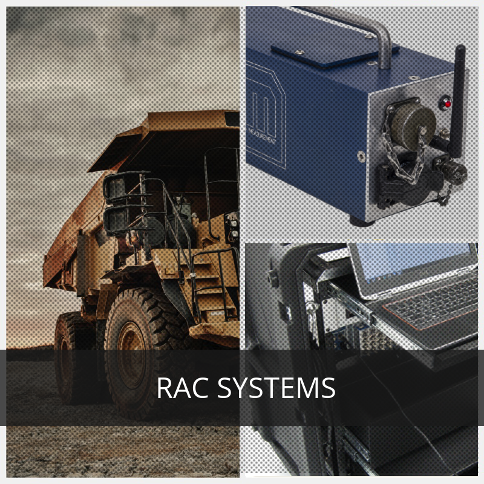 The RAC-88 is a rugged, industrial data acquisition system developed for long term high speed data logging and automatic data processing. It’s Wi-Fi and Cellular 4G Internet connections allow crucial remote monitoring and test management. This system is ideal for in-vehicle data logging, structural design validation testing, and customer duty cycle testing. 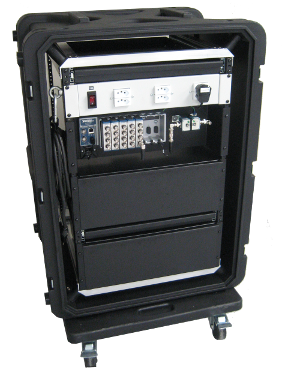 The RAC-MILITARY is a rugged portable measurement solution housed in a military style 19” rack mount enclosure. This system is ideal for testing applications that require a modular solution. The standard 4U units are configured to collect up to sixty-four (64) strain or temperature channels or thirty-two (32) vibration channels. Additional units can be networked together to provide more channel capacity. Optional WI-FI connectivity and battery power is available. 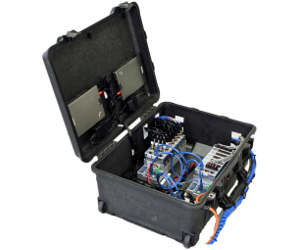 The RAC-Hardshell is a rugged data acquisition system housed in a watertight molded plastic enclosure. This solution is our most versatile package because it provides easy access to the data acquisition components so the system can be customized for additional testing applications. The standard units are configured to collect up to sixty-four (64) strain or temperature channels or thirty-two (32) vibration channels and are battery powered. Additional units can be networked together to provide more channel capacity. The RAC-Transport doubles as a shipping container and mobile data acquisition workstation. A pullout tray near the top of the unit is designed for Laptop access and storage. Additional drawers a perfect for optimizing sensor organization.